How to make Online Test ? How to upload Question Paper? How to solve Online Test ? Many competitive examinations like CAT, IBPS, NEET, GATE etc. and several recruitment and assessment exams have become online in the recent past. Online Test Exam is a relatively new concept and all institutes coaching for competitive and recruitment exams want to equip themselves with online testing system or online exam management system, so that they can provide online practice test to their own students. 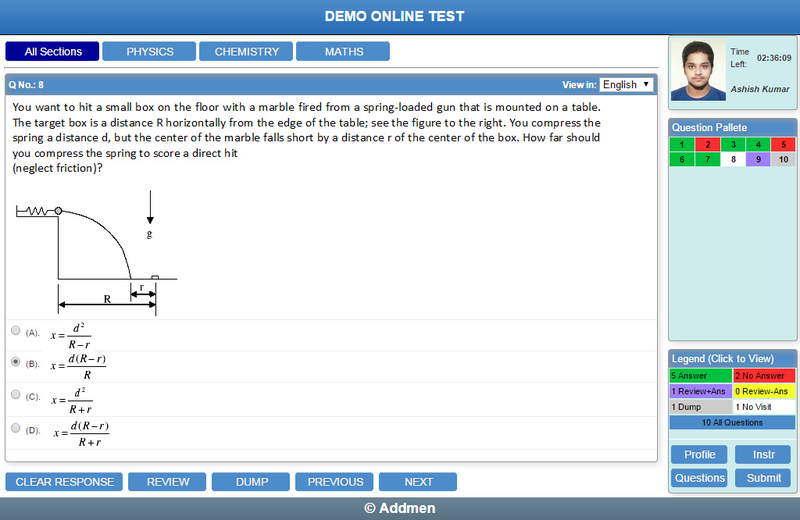 Addmen provides a ready-to-use Software for Online Exam which you can link to your website and start working today. It can be leased out as web based online exam software or it can be purchased at a one time cost and installed at your own server to serve as your own online test engine. 1. Attach the Online Test software on your website on lease basis. 2. Purchase the Online Test Software License to install and run from your own server. No Need to purchase the software. 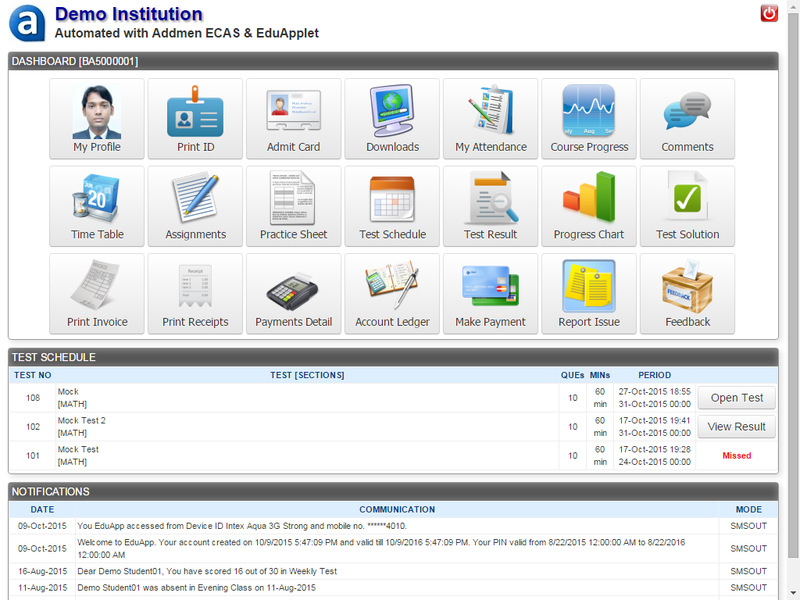 Online Test System can be leased on Pay-per-use basis. Most institutes prefer to outsource the software on Lease (Pay-per-use) basis instead of buying the software. In lease option, the online test software runs from our server and a distinct and discreet administrative account is provided to you for your own complete control. So you can make your tests yourself, register your students your self and view the test results yourself. You are not dependent on Addmen nor does Addmen intervene in your working. You Question paper and student data remains with you in your control. Addmen team is involved only in backup, technical maintenance and upgrade of the software. 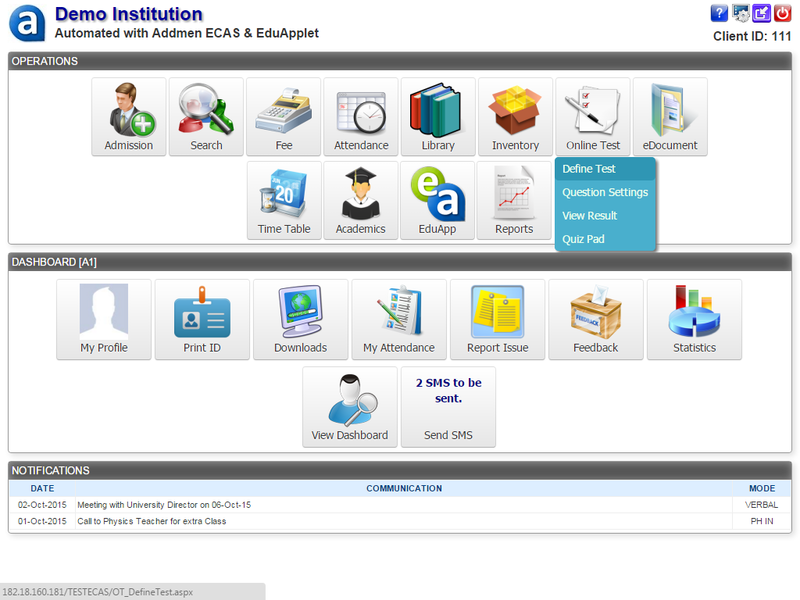 All the test question papers and candidate data is managed by the user and can be retrieved by the user any time. Pay-per-use option allows the user to activate and use Online Test System on their website at a very negligible cost. It is ready to use and implemented within 2 hours of purchase. Online Tests are charged on the basis of prepaid Test tokens. The system is prepaid. The institute has to deposit the sum for required amount of Test Tokens in advance and as the candidates go on solving a test, the points are automatically deducted. No charges are deducted for the number of students registered or number of test papers uploaded. Points are deducted only when a student begins to solve one new question paper. Points are deducted only at the beginning of a new test. Re login attempts between one test are not charged. More points are deducted if the question paper is long because it consumes more server time and resources. High bandwidth Internet connectivity with static IP (only if you want to connect with website). However larger institutes who already have their Server and lab Infrastructure or those institutes who have large requirements for Online Test prefer to buy the Online Test Software License and deploy it on their own server so that they can freely use the resources without any control of accounts. You can avoid the risk of investing too much amount in server-Internet-Bandwidth-license and creating Online Test Lab infrastructure, and subscribing to Online Payment Gateways by subscribing to our software for online exam on pay-per-use basis pilot plan. Once you have settled the online test process then you can choose to buy the online test software system and run from your own server or you can continue to use it on pay-per-use basis.